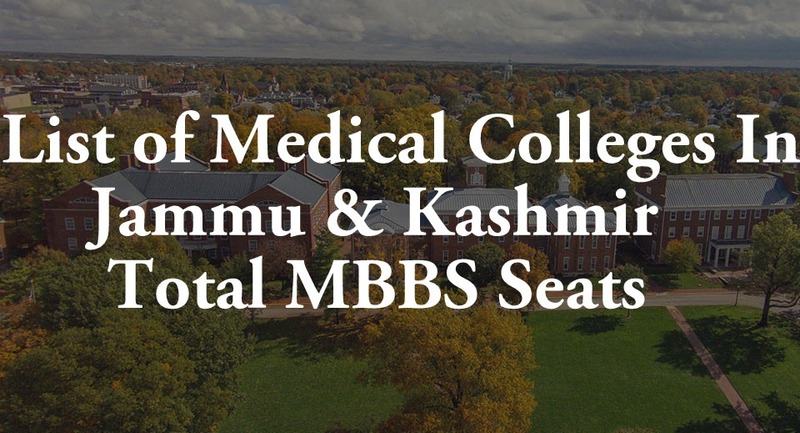 List of Medical Colleges In Jammu and Kashmir: Medical Counseling Committee (MCC) will conduct the National Eligibility Entrance Test 2018’s counseling after the result declaration by Central Board of Secondary Education (CBSE). All candidates who had appeared in NEET 2018 will be able to take part in counseling. The counseling will be based on the marks and ranks of candidates. All government and private MBBS and BDS seats in Jammu & Kashmir will be filled through NEET Counselling state quota counselling. Last year, offline counseling was conducted by the Jammu & Kashmir govt. Lots of candidates weren’t aware of offline counseling so didn’t get the chance for the counseling. But this year, the state govt. may conduct the online counseling. We will update the latest news regarding J & K State quota NEET 2018 merit list and the counseling procedure as soon board will publish. Till then, keep visiting this website for latest updates of NEET 2018. 1. What is the next step to taken? 2. As i have qualified with 57.27% , what should be the score for MBBS and BDS ? 3. please let me know whom should i contact so that further processing can be done? It is requested you to please assist, so that i can do further process. Dear Sonam, As per the latest update, State quota counselling has been started in J & K. You have to go BOPEE office to fill the ofline application form for the counselling. Excuse me I have been scored 67.71127%in NEET 2017 am I eligible for counselling , is there is seat in jk for this percentile . Please reply as soon as possible. I got 341 marks can i get seat in mbbs at jammu medical college or any oyher place in jammu state under 15% quota. I belongs to Telangana state. Is there will be counselling in jk for other courses like bums …. Excluding mbbs and bds for aspirants which appears in neet 2017. I have qualified neet 2018 with 94.64 percentile (413out of 720). Can I get a seat for mbbs in govt. College of jammu? I am a kashmiri pandit.